NOW, BACK TO YOUR REGULARLY SCHEDULED BLOG POST. Good morning, Wednesday!! The week is half over and I couldn't be more excited. Well, actually, that's a lie. I would definitely be more excited if it were Friday. But I'm not complaining. In the wake of a new story idea, which is ultra-top secret, at least for now, I decided that I needed to branch out from reading mostly YA Paranormal (oh, how I love my paranormal boys!) and explore all things YA. 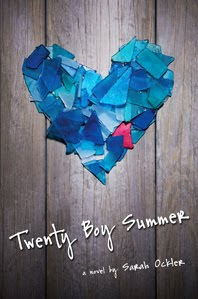 Many moons ago, my friend Daisy Whitney recommended the book Twenty Boy Summer by Sarah Ockler to me. (Daisy always knows the best books. And, some how, she knows exactly what I like to read about: BOYS! She's a mind reader, I swear.) So, of course I took her awesome book expertise, and I bought a copy the other day. Now, I'm sorry it took be so long to get to it. Because it is freaking fantastic. I haven't finished yet, but I can't wait to see what happens. This book isn't one I would normally pick up, because 1) I'm a big YA paranormal reader and 2) although this book has boys in it (as well as in the title! The title practically screams: Hello, Kim! Read ME! Now!!) I usually stay away from emotional, make you want to cry books. Crying just isn't my thing. However, even though this book has caused me to shed a tear or two (or forty), I still love it. Plus, it's good research for my new idea, which could hold a few tear jerking moments. Possibly. So, for all of you out there who haven't read this book yet, please do. It's as fun and light-hearted as it is sad, and a fantastic summer read. According to her best friend Frankie, twenty days in ZanzibarBay is the perfect opportunity to have a summer fling, and if they meet one boy ever day, there's a pretty good chance Anna will find her first summer romance. Anna lightheartedly agrees to the game, but there's something she hasn't told Frankie---she's already had that kind of romance, and it was with Frankie's older brother, Matt, just before his tragic death one year ago. I swear, this story is so fun!! Have a great day, everyone!! Wow it sounds very strong and definitely emotional Kim!!! I know how much you love paranormal YA so for you to branch out and try something new is HUGE!!! O-M-G!!! That's awesome... Tiana totally rocks! I'm glad you were able to save everyone's lovely thoughts about your blog!!! 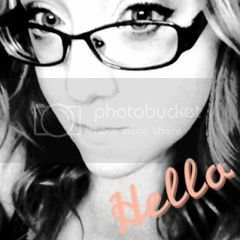 :) I love having awesome blog buddies! Wow, great premise, and gorgeous cover. Thanks for telling us about this book! There's always something to be learned from other stories, even outside our genres. It's a great way to study the craft. I've heard all good things about this book, just haven't picked it up yet - gotta do it! Who couldn't like a book called 'Twenty Boy Summer'? Love the idea. Oh I remember hearing about this book months ago and marked as to read! It sounds perfectly devastating and like something I would definitely read. I love a good cry book! It sounds great! Now I must read!!! That title does say KIM all over it :) I can't wait to find out what you think of it in the end. Eeeeeep!!! Why haven't I read this yet? Definitely something I would love to read, even though it seems sad. Must pick this one up! Great review! I like the way this sounds. Thanks for the tip on a great new book!